I have added a couple of new prints to my etsy shop and wanted to tell you a little about one of them (actually two variations of one). A good, non-pregnant friend of mine was ooing over baby clothes, names, etc. things most expectant moms do. I asked her if there was something she needed to tell me and she told me how she was just preparing for the "twinkle in my eye." 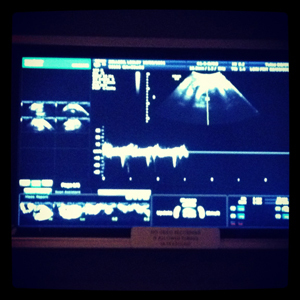 She wasn't pregnant but giddy about the day she would become pregnant so right now, that baby was a twinkle in her eye. That stuck with me ever since. 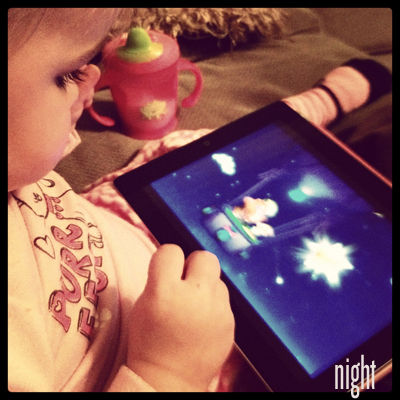 Sweet P has also started enjoying the song, Twinkle, Twinkle Little Star. She'll wave her arms around and dance and say, "tar" (star). She asks me to sing it to her several times a day. The song has totally changed for me because when I sing her the line, how I wonder what you are, I think of baby #2 and all the newness and surprises that little one will bring. Not only do I wonder if it's a boy or girl, I wonder what it will look like, what will it's little voice sound like, what will it's personality be like, etc. So many things to wonder and soon I'll know! 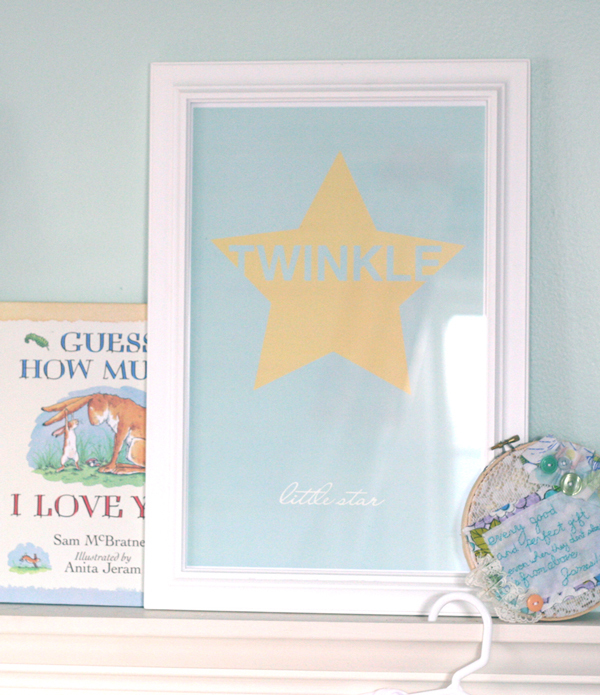 So I designed two versions of print for baby #2, my own little twinkling star! 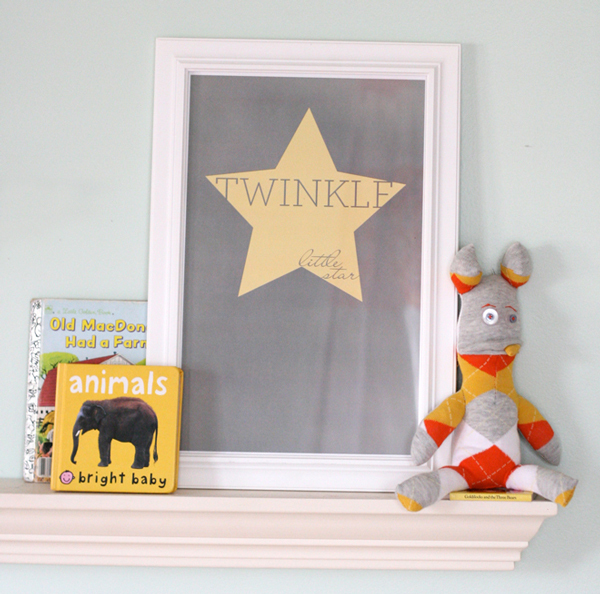 Both are gender-neutral and both have a bold, graphic star with the words, "twinkle little star" and one will be hanging in the nursery for the little twinkle in my eye that I can't wait to meet! They are also available in my etsy shop for you too! I love your prints! I've been thinking about the story about your friend all day, it's such a sweet sentiment, and very closely reflects how I feel about someday having kids too. And then Brooke Fraser's Arithmetic started playing on my pandora and I thought the first verse was very fitting for your story and print, so I thought I would share! Best of luck with the end of your pregnancy! My dad always refers to the times before I came along as, "when I was a twinkle in his eye". I've always loved that.